Your rational mind closely resembles a dog in some perspectives. In the dog world, a pack follows a leader. When a dog owner is unwilling to be the leader of the pack, the dog will exhibit dominant behavior and fight for the position of pack leader. When your mind is out of control, that means your mind is displaying dominant behavior. You have given your mind control by feeling you can’t help thinking this way. When at the same time you get angry at your mind for thinking tis way, it isn’t quite clear who is the pack leader. That’s is confusing to both you and your mind. Your mind needs a leader. When a dog is not given enough exercise, it will start chewing on its owner’s stuff, the shoes, the couch. Because it cannot get rid of its energy in a natural way it finds other ways of releasing energy. When your mind isn’t getting enough exercise, it will start chewing on events that frustrated or hurt you in the past and events in the future that worry you. It’s not eating and digesting which would mean that you would get it out of your system, it’s just chewing and chewing and chewing. If your mind is chewing on stuff, it needs exercise. When a dog is confined too much or restricted in its natural behavior, it will start chasing its tail. Next to physical exercise a dog needs a challenge. Dogs love challenges, some dogs more than others, but all dogs need a certain degree of mental challenge. In some cases a dog will chase its tail until it is exhausted, sleep, and start chasing its tail again when it wakes up. Sounds familiar? How many of us haven’t gone to bed reasoning in circles, going over that problem over and over again, slept and when you woke up you started again, same problem, no solutions. When your mind goes in circles, it needs a new challenge. To let go, you have to take leadership of your life. My intent is to help you get your mind healthy and happy by making YOU leader of the pack again. My intent is to help you see and feel that you are not your mind. My intent is to make you a mind whisperer, a leader who understands what the mind needs in order to be calm. If you have ever seen an episode of the Dog Whisperer, you know that an owner wants his dog to be calm and submissive. A calm submissive energy means the dog is relaxed and follows its leader. To make a dog into a follower, the owner has to be calm and assertive. Calm assertive energy automatically makes the owner into the leader. A calm and assertive leader leads from the whole of his being. 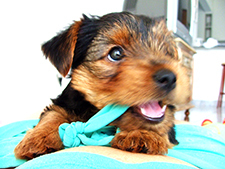 In the television show, the dog almost never is the problem. Cesar Millan rehabilitates the dog and trains the owner. In this case, our mind isn’t the problem. The problem is that we don’t trust ourselves enough to take the lead and instead we have allowed our mind to take the lead. It is time that we subject our mind to our being. Our rational mind will be able to do great things when it follows our heart’s vision. A calm assertive leader is compassionate and in quiet control. Being compassionate means you don’t get angry at yourself, others or the circumstances for messing up. If the outcome is different than you wanted, you kindly take responsibility for your thoughts, behavior and the outcome you’re generating. You calmly assess what went wrong and you change what you’re doing. Your mind is a perfect mirror, it will give you perfectly correlated feedback. If your mind isn’t calm and submissive, it means you aren’t calm and assertive. If it doesn’t follow, it means you are not leading. This feedback prompts us to ask ourselves what we can do differently next time, however confronting it may be, it helps us make the neccessary changes to go forward. In order to be calm and assertive you have to know what you are aiming for, you have to have the quiet knowing that you will get there, and you will have the discipline to keep your eye on the desired outcome, no matter what. Now you may think, I don’t know how to do that. I know, don’t be discouraged. That is exactly what we’re going to work on. Now that you know that it takes leadership to let go and have learned what it takes to be a good leader of the pack, we’re going to practice leadership. Next time, we’re starting the mind agility training. Let’s have some fun! Recently, at a party, a dear friend said, “people always say well-meaningly I have to ‘let go’. It doesn’t help me, I don’t know how to do that.” I fear I inadvertedly was one of those well-meaning friends. I want to make it right. It appears that the subject of letting go is surrounded with a lot of mystery. Unjustly so. Imagine your holding a tennis ball in one hand, when I ask you to drop it, you relax your grip and let go. 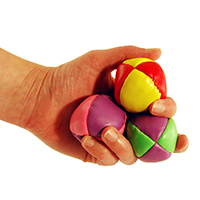 You relax the muscles in your fingers, they move automatically to an open position and the ball drops. That’s it. The key to letting go is to relax. Letting go is natural. When we are balanced, tension and relaxation alternate like a wavelike motion. Look at your breath, you take a breath in and then let go. Your heart beats and then relaxes, as do all your other muscles. Neurons fire and pause to recharge. Our whole body is designed that way. Yet somewhere along the way we have forgotten to relax our mind and spirit, and we’ve become used to holding on to thoughts and ideas that keep us running in circles, emotions that slowly poison us and fears and deep-seated beliefs that keep us from living our best lives. Let’s change that. We are designed to move. When we move our bodies, we remain strong, lean and flexible. The same holds true for our minds and our metaphorical hearts. When we don’t move our bodies, we lose muscle tissue and we gain fat. When we don’t move our minds in a healthy way, we lose flexibility and focus, our thoughts become negative and repetitive. When we don’t allow our hearts to move, our emotions stop flowing and they become stale. You feel stuck. People tell you you have to let go, you don’t know how and you stay stuck. Most people would see letting go as a condition to move forward. I have learned it is the other way around: it is in moving forward that we let go. By creating a new reality, we release the hold of the past. Letting go is to accept fully what is happening now and to surrender to the uncertainty of the future. Letting go is building bridges between where you are now and where you want to be. Letting go is taking small steps in a new direction, with every step heading for a new destination, and in the process releasing the hold of the past, one step at a time. Taking steps in a new direction is taking leadership of your life. You’ve allready taken the first step. Are you ready to take the next? In the next blog post, you’ll meet the mind whisperer. A mind whisperer is an expert in leadership. The mind whisperer will help you let go of your mind’s unhealthy habits.